RESEARCH institutes are giving more help to small local companies to improve their products, latest figures show. A*Star's technology transfer arm Exploit Technologies has given out 65 licences to small and medium-sized enterprises (SMEs) so far this year - compared to 53 in the whole of last year and just 25 in 2006. Nanyang Technological University, meanwhile, worked with 12 SMEs last year - double the number from 2010. Last month, machine-sensor firm Hoestar PD Technology licensed a wireless sensor from A*Star's Institute of Materials Research and Engineering to monitor machines' "health" remotely while they are still running. 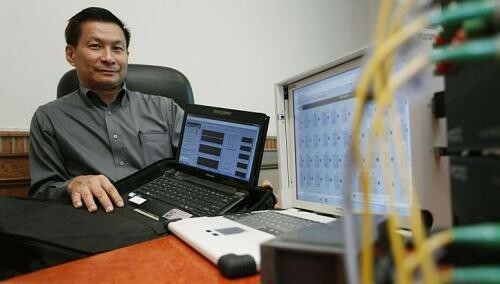 Compared to conventional methods which require machines to be switched off, wireless monitoring saves time and manpower, said Hoestar managing director Leong Weng Hoe, 54. Commenting on the rise in collaboration with research institutes, Exploit chief executive Philip Lim said: "We think it is due to more directed science, earlier market integration and greater awareness of the value of IP (intellectual property)." He also pointed to schemes by local agencies to make patents and IP less risky for firms. For example, government agency Spring Singapore offers grants and programmes to help companies manage IP. Working with researchers and licensing technology is necessary for a micro-SME like Hoestar to grow, Mr Leong said. "We have fewer than 10 people. It's a big problem getting talent - we're the last in the chain for people to join," he said, adding that potential employees often prefer to join large multinational companies. Mr Tony Lee, managing director of home-grown company ERS Industries, said: "With A*Star's backing, we get more recognition." The 18-year-old SME makes racks to hold IT servers. The firm paid the Institute of High Performance Computing (IHPC) a six-figure fee for its know-how and facilities. The IHPC's supercomputers simulated the flow of heat and air to improve the racks' design. "We just told them what we needed," Mr Lee said, adding that it helped that one of the IHPC team members had previous industry experience. The fee it paid to the IHPC comprised part of a researcher's salary and prototype parts. However, there are other forms of agreements or profit sharing. These might include paying royalties to the research institute, paying a licensing fee, or even sharing half the profits if the research group has had a particularly big role in developing the product. Professor Stephen Smith, NTU's vice-president of research, said IP issues are a common challenge when working with companies. "Another challenge is to find ways to improve a company's proprietary technology without a need for them to reveal their trade secret." Collaborations need to bridge the gulf between the lab and real- world conditions, said Mr Leong, adding: "That's where we come in with our experience." Not all high-tech collaborations are all work and no play. Software firm Decked Builder, which makes applications for players of trading card game Magic: The Gathering, worked with the Institute for Infocomm Research on image recognition technology. Now players can scan their cards with a webcam to add them to a database or virtual deck. "It helped us do something we previously couldn't do," said Decked founder Tan Thor Jen. "Simple as that."